My admiration for everything related to art and colors goes back to my childhood days. My father gifted me my first palette and brush when I was eight and never did I let a blank sheet go waste every after. I grew up making drawings, paintings and canvas. Though I did not nurse a goal to become an artist but I always nurtured my passion religiously. I always took great interest in learning new art forms and creating them in my art book. Even today, I have that school-girl love for colored pens and caricatures. Little did I know that one day I would travel miles in search of paintings that brighten famous streets and neighborhoods of the world. I must confess I am fascinated by street art and my travels in last one year have awakened my love for them unlike before. Sight of a plain wall is too boring for me. Street art adds excitement and beauty to it. Imagine coming across a street which is dull like any other. You wouldn’t even pay attention to it. But if there is a street which is full of colorful pieces of art, you will surely get entertained, curious and interested in it. I discovered this one in Bandra in Mumbai. When the world can be colorful, why do we have to keep it dull and drowsy? Colors add so much energy and positive vibes. It thrills me to the core to see a graffiti or a piece of art instead of garbage or betel stains on the walls of India. No wonder I often stop to admire the open galleries, the alleys, streets which flaunt art work in the form of murals and graffiti. And it is not just about the walls, I have great respect for their artists and creators too. The bright colors energize me. The creativity always make me wonder, what must be going in the mind of the artist? What did they think before making this? I also like the fact that street art is open for all. One doesn’t need permissions like museums. You can just explore the unexplored parts of the city and be amazed with the discoveries. You can take as many pictures and get clicked with them too. This dynamic form of expression is a great way of exercising freedom of expression. In fact, I believe that art has the power to bring change in the society. Have you paid attention to the messages conveyed through street pieces? Wall art compels us to notice the little things which often go unnoticed. It speaks volumes about the local neighborhood, about its people and about the social issues. These dramatic representations are not just decorative pieces but a blend of emotions. Some make us smile, some make us curious while others make us question the societal norms. Greek street artist iNO said, “If you want to learn about a city, look at its walls“. I love street art chasing and here are some of my latest street art adventures in India and abroad. After seeing these clicks, you will itch to explore your own city. If your city does not have enough, it is time to go packing. If not foreign locations, look for cheap air tickets domestics at least. 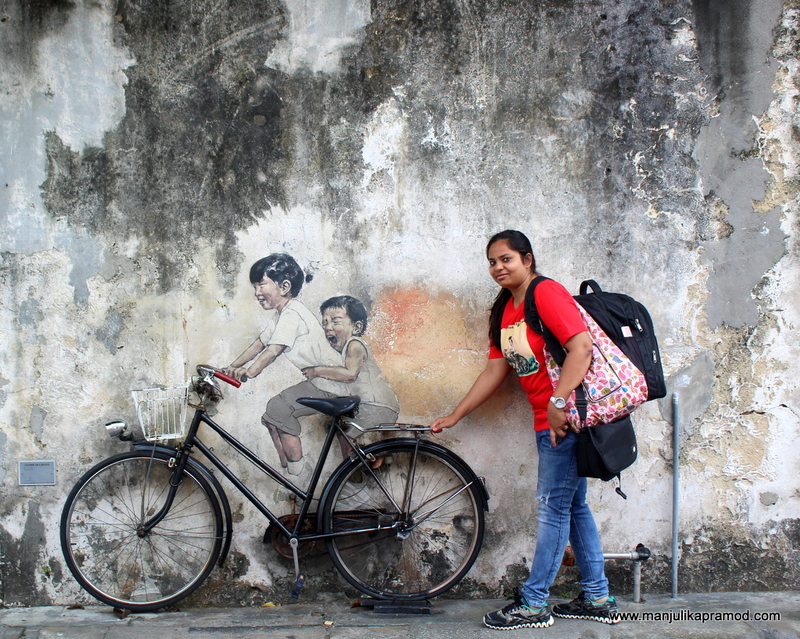 I had heard so much about the street art in Georgetown on the island of Penang, Malaysia that I was compelled to do a solo trip. London-trained Lithuanian artist, Ernest Zacharevic has many exemplary works to his name and he has changed the city for its good. 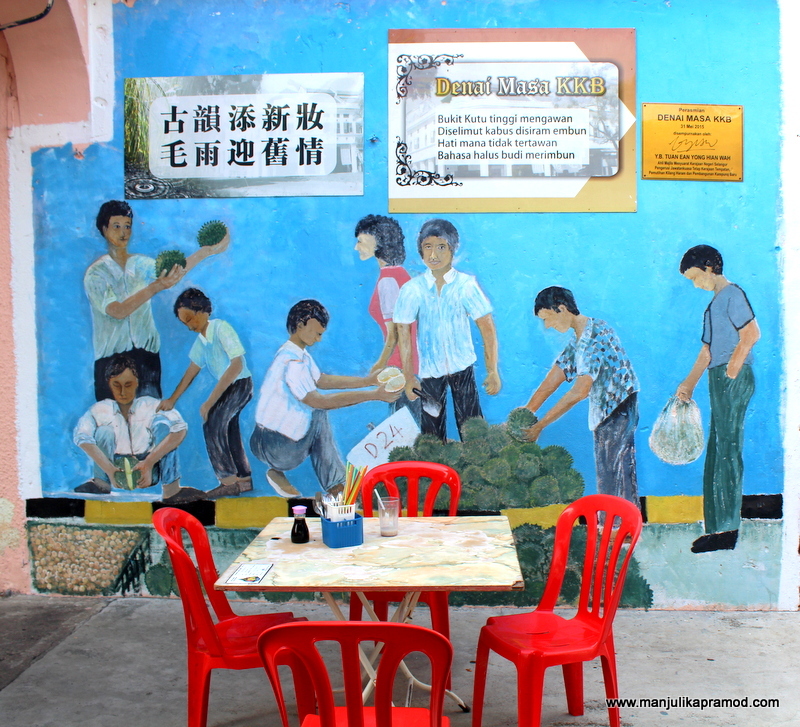 Tourists visit the city purposely to indulge in the street art experience. I have done it myself, enjoyed it thoroughly and I would love to go back again. Growing love for murals and graffiti is talk of the town in Bali. The contemporary art scene has changed around the world and Bali is picking pace too. I was thrilled to see some great art works around the paddy fields and the upcoming cafes in Ubud. 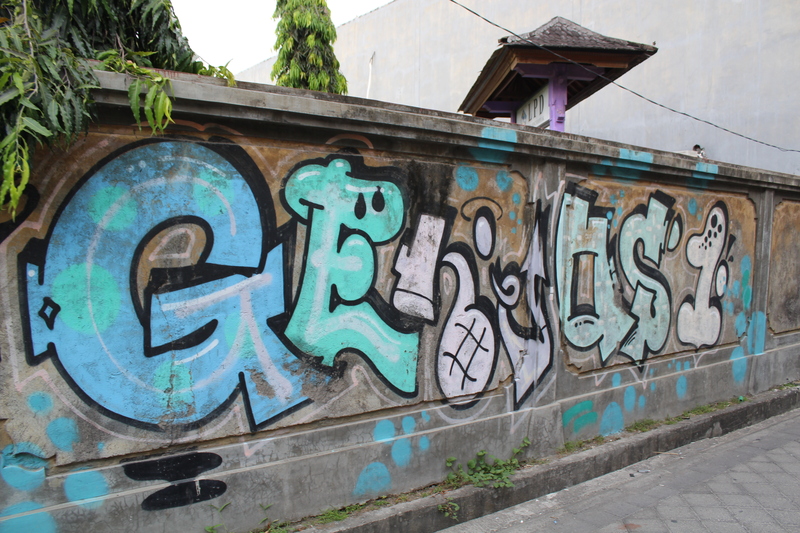 Even Kuta and Seminiyak beach and their neighborhoods are thriving with creativity by island’s rising graffiti artists. The street are in Canggu, west coast of Bali is favorite among the tourists. 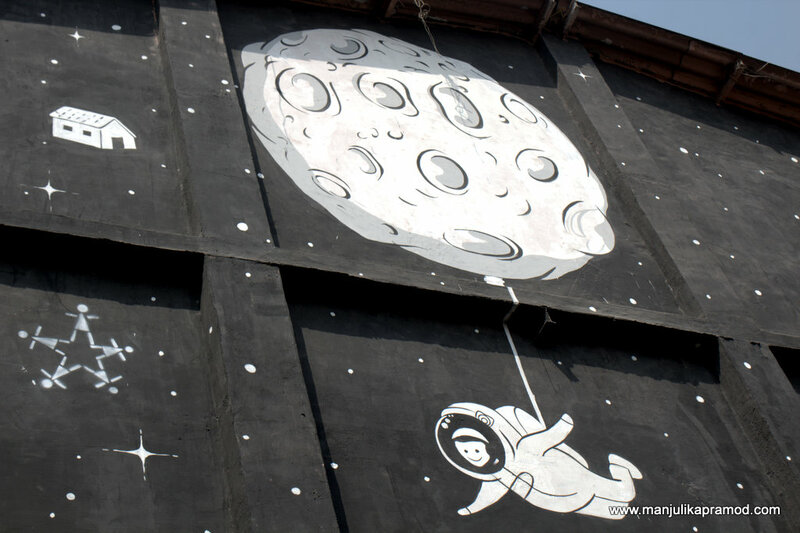 One of my favorite things to do in a new destination is to go looking for its street art. I did not spare the capital of Sri Lanka too. 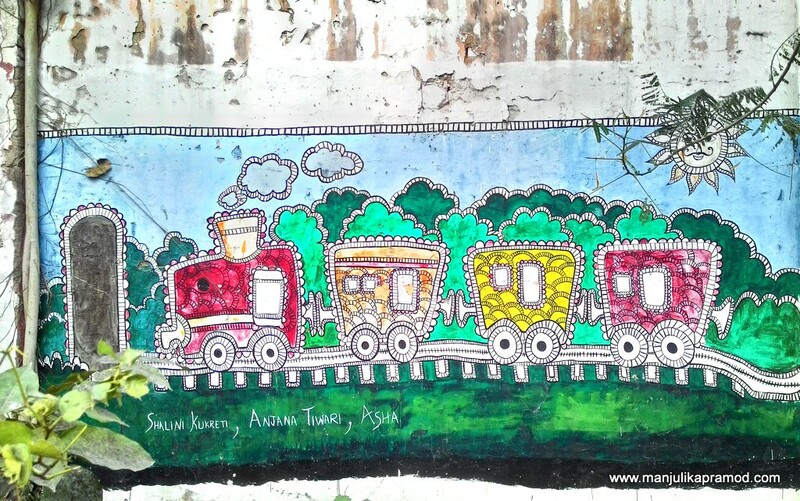 While Colombo has the famous Nelum Pokuna Art Street dedicated for its local artists and their display of work, I found some interesting paintings around the train stations and temples. The land of Gurudwaras (Sikh shrines) has not been spared from the art scene too. 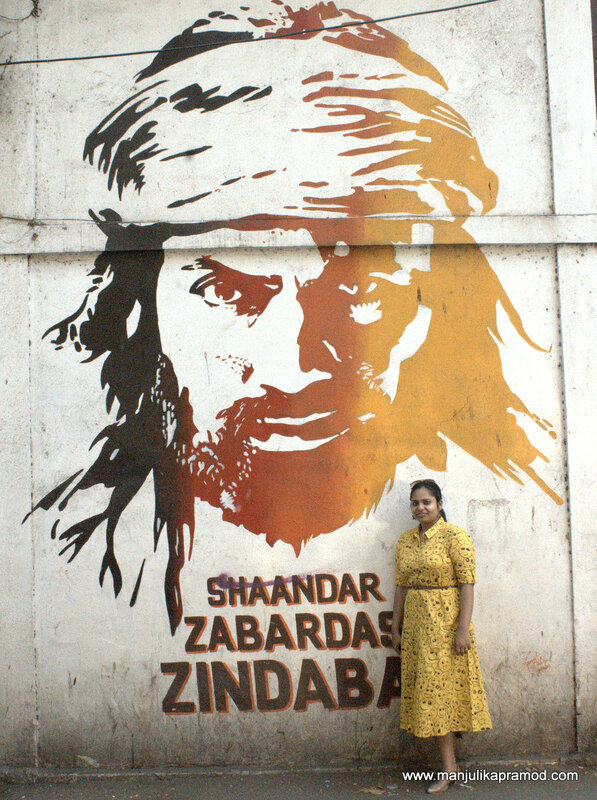 I was surprised to see lots of wall paintings under the flyovers in the city. A long stretch of paintings by local artists caught my eye on the pillars around the Golden temple too. See in the pictures what I found for myself. 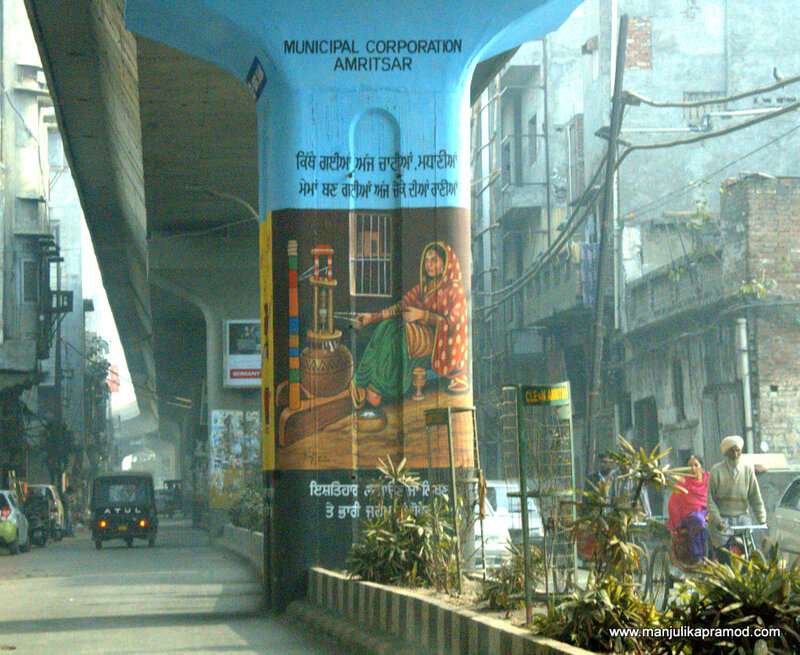 Amritsar… The flyover pillar that is very close to the parking at Golden Temple. Eye popping murals are a sight to behold in Mumbai. I am just back from the city and the street art impressed me thoroughly. The slums have been painted, the high rise buildings have Bollywood art project making them shine and some of the most famous streets are bursting with street art. 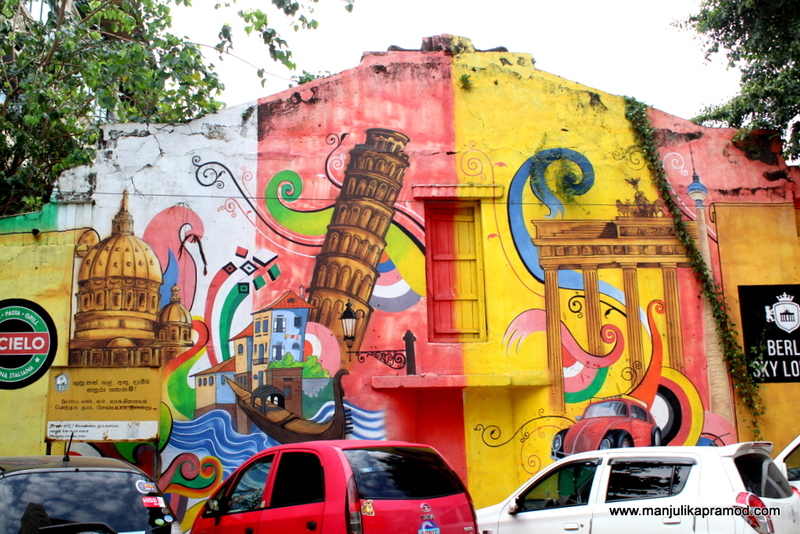 It is hard to find a boring wall in the financial capital of India. Every street had a message to say. While the Warli paintings, an old tribal art is being promoted in many parts of the city, the town area had social and global messages painted all around. 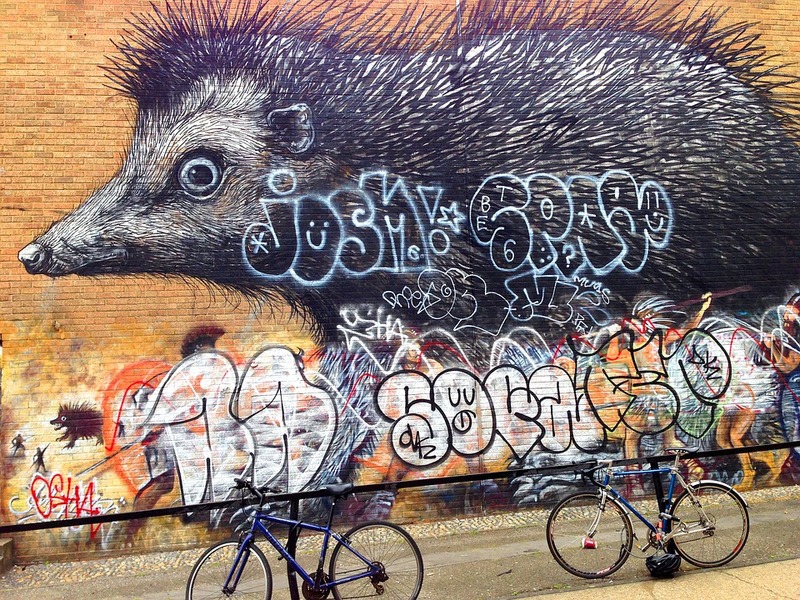 London is counted among the greatest destinations for street art. It revolutionized the art scene for the rest of the world. While I have been to all the places mentioned above, I am itching to go to London to walk around South Bank to Brick Lane. I have a friend there and she often tells me to come over to Shoreditch for an art tour. Phlegm, Heneage Street, off Brick Lane or Clifton Street, Hoxton have some amazing paintings which celebrates street art. I am definitely looking forward to visiting London someday. I am thinking of taking a British Airways flight. What do you suggest?